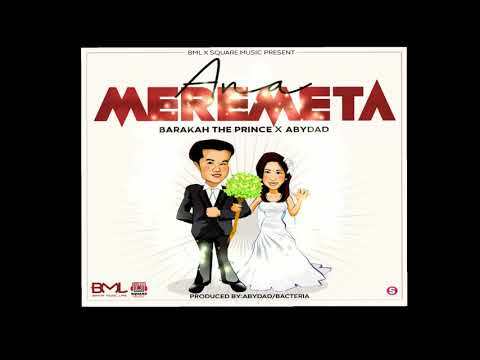 Baraka The Prince is back on the music scene with the release of “Anameremmeta” and we are excited about this release. He features another ever present face in Tanzanian music, Abydad to further raise the bars on this song and how far it can go. The last time we heard from the “Bora Iwe” crooner was in earlier this month when he released “Maya” and featured Genius on it. Earlier this year he had featured on Mr T Touch‘s “Gimme Dat” to rave reviews which actually came following the release of “Sina” on which he featured “Madee”. Produced by Abydad who also featured on it, this new song, “Anameremeta” is the first individual effort we’ve had from Baraka The Prince since “Maya” went viral earlier this month. Collaborator and producer of the song, Abydad treated us to “Nambwela” earlier in August featuring the respected Rich Mavoko on it. While he has not been consistent on the singing front, he has produced for a number of high profile artistes notably Baraka The Prince who has always represented well and he did on this one too. To enjoy this new offering, stream or download here and feel free to share your thoughts in the comments section.